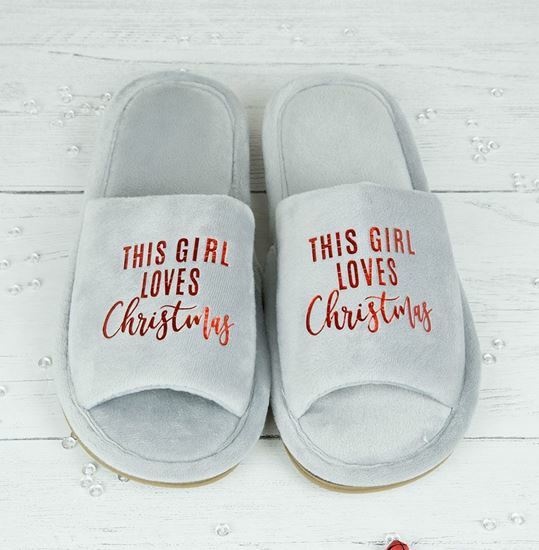 A must for anyone who loves Christmas and keeping their feet warm this winter! 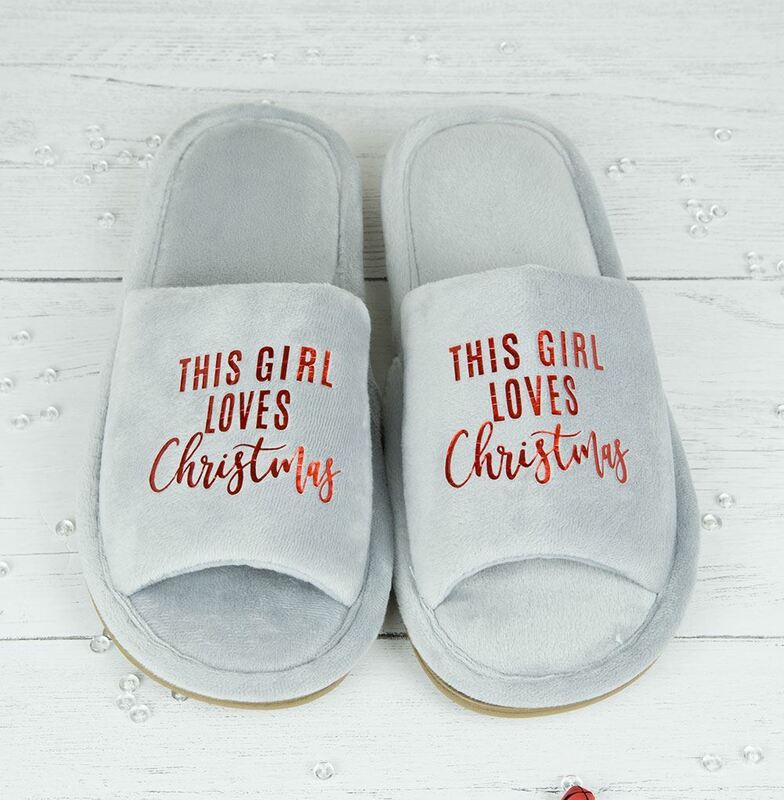 Keep your feet cosy and warm this winter with our gorgeous "This Girl Loves Christmas" slippers. 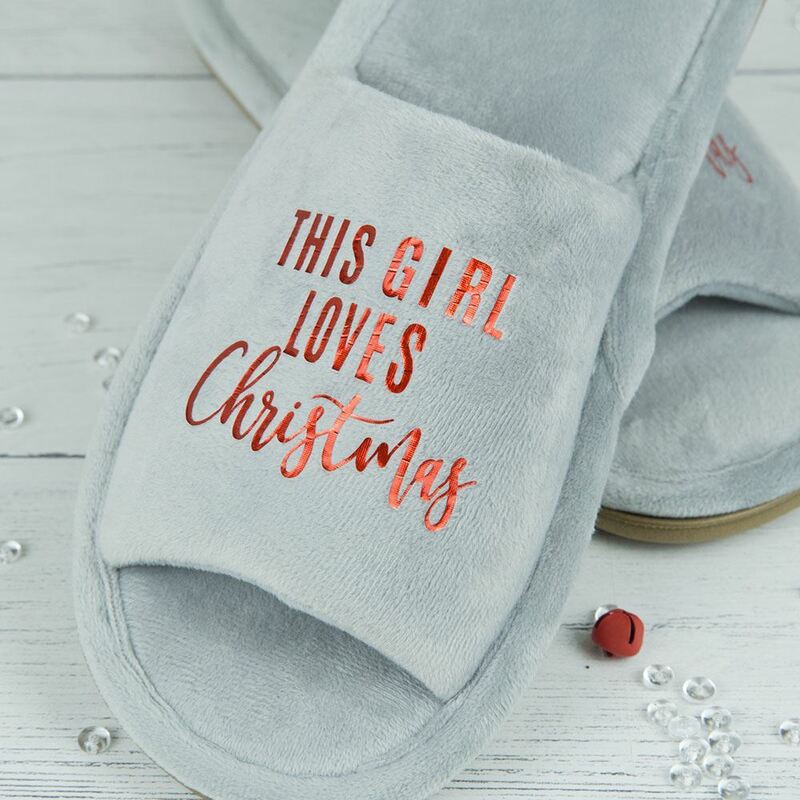 The slippers are super soft luxury grey velour with a hard sole. They are also machine washable (do not tumble dry). 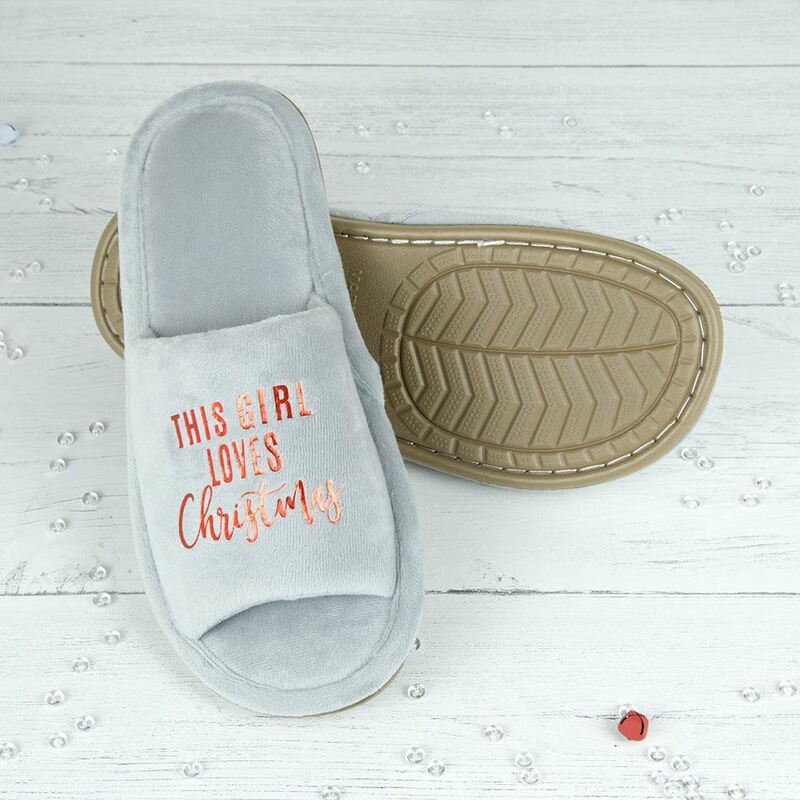 They come in one size which fits up to a UK size 7 comfortably. 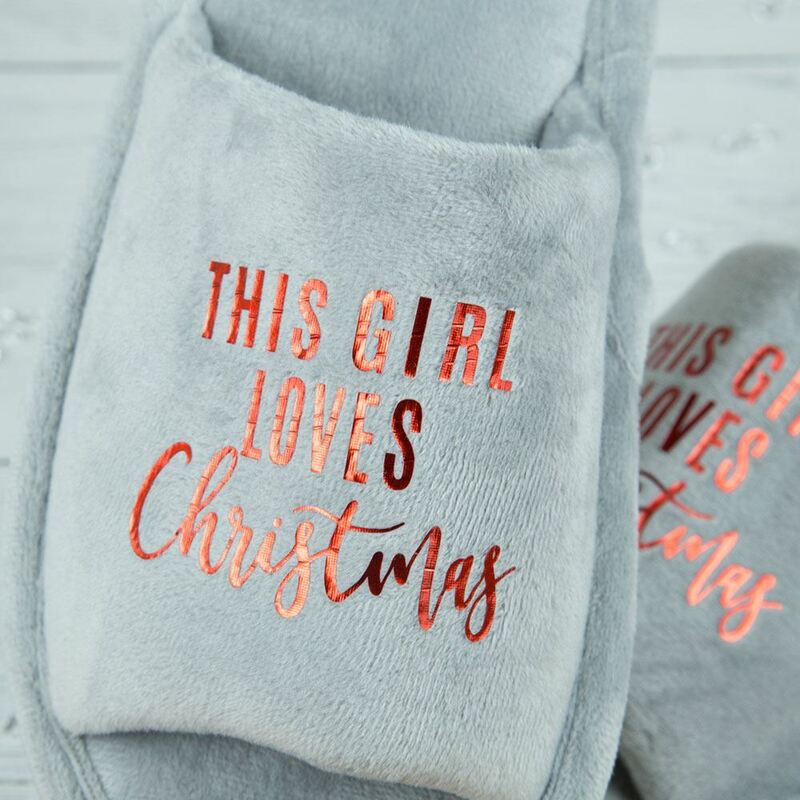 The wording reads "This Girl Loves Christmas" and comes in a shimmer red vinyl. 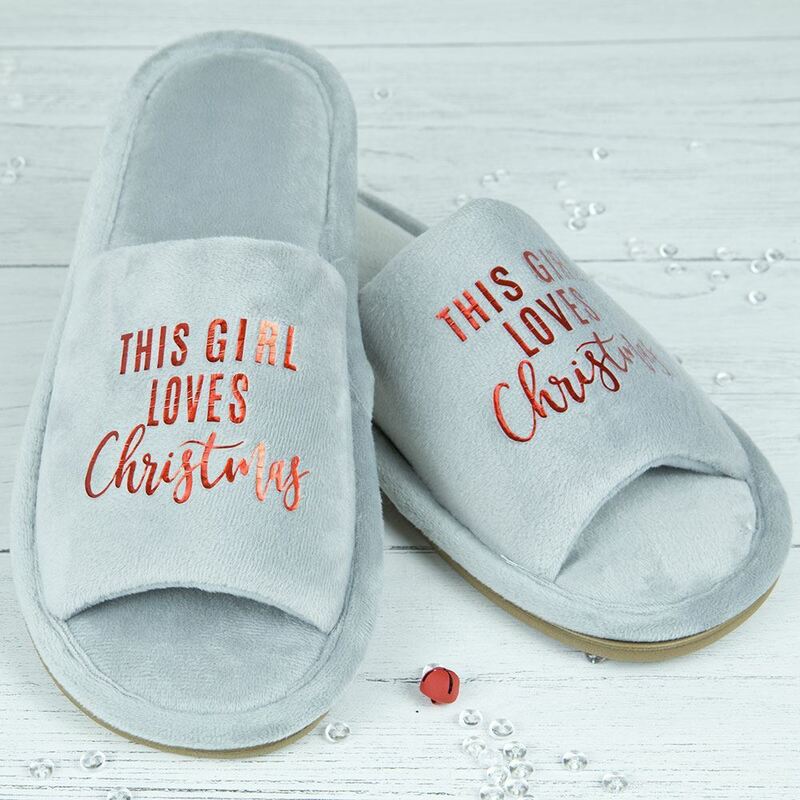 Each slipper measures approx 28cm in length.